If you feel that you have received negligent care from your cosmetic surgeon or have developed avoidable complications after your procedure such as an infection, then speak to our clinical negligence team about your right to compensation. 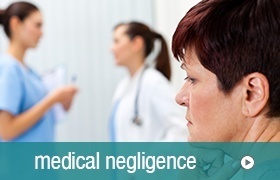 Call free on 0800 122 3130 or request a free, no-obligation call back from someone from our negligence team. Abdominoplasty is a type of operation in which the stomach is tightened and flattened by removing excess fat and skin around the abdominal muscles. The procedure tightens the abdominal muscles and it is a very popular procedure which leaves many people very happy with the results, day in, day out. However sadly, as with every form of cosmetic surgery, abdominoplasty comes with significant risks, and there are occasions in which patients suffer needlessly from infections or poor after care. When you opt for abdominoplasty you naturally expect high levels of care before, during and after your procedure and indeed your cosmetic surgeon has a duty of care towards you. If you feel that this has not been met, and you’ve been left suffering as a result, then you could be entitled to make a claim for compensation. If you or your loved one has suffered as a result of a botched abdominoplasty procedure, or you have received a poor level of aftercare and you would like to discuss your individual case, we can help you. Time limits apply, so call us today on 0800 122 3130 or start your claim online.